Black 24-36 months Since this tea is generally dried longer, it will last longer under the right conditions. Oolong 12-36 months The darker the oolong the longer the shelf life. Green and Yellow 6-24 months The British Tea Council advises to drink the green teas before 6 months as the anti-oxidants will break down over time. If taste is more your concern, you are fine going out 12 months for most. White 6-12 months Since white tea is made from younger leaves with the least amount of manufacturing, so this is not a tea to keep long. Blended with spices, flowers, herbs 6-12 months Here the spices more than the tea dictate the shelf life. Cinnamon, mint, and cloves will start to lose their punch after six months. Most flowers add no flavor and will stay as long as the tea. Blended with Nuts 6 months Nuts go bad quickly, that is why you often don’t find them in tea. If a tea is nut flavored, it is generally through extracts. Puerh Generally the older the better, some of the best on the market are 20-30 years old, unlike the other tea, this one needs air to improve its flavor Puerh needs air, so if you buy it store it somewhere other than the kitchen to allow for proper air circulation without it picking up the odors from your cooking. Tea is hygroscopic, which means it will absorb moisture and odor from the air. So it needs an air-tight container, kept away from spices, garlic, onions, and anything else that has strong odors in the kitchen. Tea should also be kept away from heat. Generally in a kitchen, when food is heated it releases steam and the tea will absorb all of it. So never store your tea near or above your oven, cook top, dishwasher, or microwave. By doing that, you are just asking to have your morning tea taste like last night’s dinner. Finally, tea is also light sensitive. Remember, the sun is used to whither the freshly plucked tea leaves. So more sun on the dried tea leaves, will just break them down faster. So its best to stay away from clear containers. If your tea comes in a resealable pouch that is not clear, you have the perfect container to store your tea. 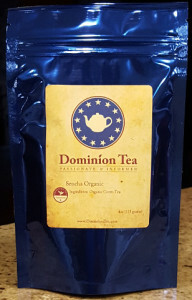 For those pesky tea bags in cardboard boxes, get them into a zip lock bag immediately and make sure you are using them regularly as they do not last that long. That is not to say you should not have a metal, plastic or dark glass container to store your tea, if you like those kinds of things. Just keep in mind they have seams and may not be as air-tight as most of the resealable pouches. Also, the flavor of the tea will stay with the container, especially plastic ones, so you have to be willing to constantly drink the same tea to justify having a secondary container for it. Either that or be prepared to wash it well between teas (and expect plastic to still retain the smell of the prior tea or soap used to wash it). Just remember to put your tea in a dark part of the kitchen away from heat, and not in the refrigerator, unless you have the tea in a vacuum sealed container. In closing, to keep your tea as fresh as possible, an air tight container that is dark and placed away from heat and appliances that produce heat or steam is the best solution. 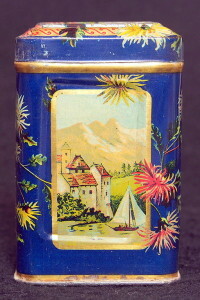 This entry was posted in General Tea Background, Tea Preparation and tagged freshness, tea storage. Bookmark the permalink.